The Eagles are the most popular, enduring rock band in America. With singles and albums hitting the top of the charts for a quarter century and a greatest hits collection that has sold more copies than any other recording in history, the Eagles have entered the pantheon of pop music. 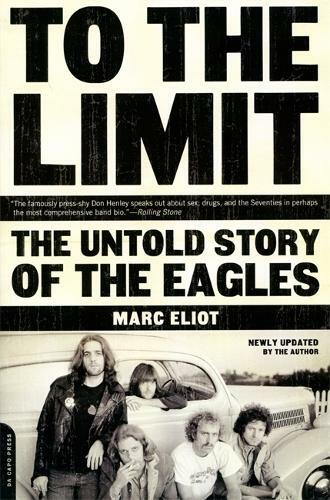 To the Limit is the unauthorized account of the group from its earliest years through the breakup, solo careers, and reunions.Blending the country and folk music of the late sixties with the melodic seductiveness of Detroit-style roots rock, the Eagles brought a new sound to a stagnant music scene. Under the brilliant management of David Geffen, the Eagles projected a public image of unshakable camaraderie-embodied by the cerebral, brooding Don Henley and the intuitive, self-destructive Glenn Frey-bolstered by the gorgeous harmonies of their songs. Behind the scenes, however, there was another story.At turns revealing, inspiring, funny, and shocking, To the Limit is the chronicle of a time, a place, and a group that succeeded in changing forever the world of popular music.